The Baudelaire children can never catch a break. Luckily for them, their misery will soon be over, as the third and final season of Lemony Snicket’s A Series of Unfortunate Events is set to hit Netflix in 2019, thus bringing the story of the three wealthy but tragic orphans to a close. As fans of the popular books will know, that ending isn’t entirely happy, but what else would you expect from such a miserably named series? After going through a series of misbegotten guardians, and trying desperately to avoid their evil relative Count Olaf (Neil Patrick Harris) -- who wants their late parents' fortune all to himself -- Violet, Klaus, and Sunny Baudelaire found themselves in a pickle at the end of Season 2: They were framed for the fake murder of Olaf, who later discovers and captures them. They also finally learned about the secret society their parents were members of, a tantalizing answer that will carry into the final chapter. But is it really so final? According to Neil Patrick Harris, yes. "It was always the plan to do three seasons, which I really liked," the Olaf actor told TV Line back in March. "It makes me feel like we’re doing a specific piece of art, as opposed to just hoping the zeitgeist holds up for as many seasons as people can stomach." We’re sad to see the series come to a close, but excited that Snicket’s ghastly, grim world will see every entry adapted, a prospect that seemed impossible after the Jim Carrey-starring movie version failed to take off. Here’s what we can expect from the final season of A Series of Unfortunate Events. When will A Series of Unfortunate Events come back? Season 1 premiered in January 2017 and Season 2 in March 2018, so we can probably expect Season 3 to hit in early 2019. Though we don’t have an exact release date yet, we do know -- thanks to a tweet from Neil Patrick Harris -- that filming wrapped in May of this year. We also know that the final season will be a shortened one, with just seven episodes. The final episode, "The End," will be one extended episode instead of two separate installations. "We just didn't think there was enough material to turn it into a two-episode show," said showrunner Barry Sonnenfeld. "'The End' is sort of a coda." Who will be in the cast of A Series of Unfortunate Events Season 3? We know for sure that Harris and the three Baudelaire children -- played by Malina Weissman, Louis Hynes, and Presley Smith -- will all be back. K. Todd Freeman's Arthur Poe and Patrick Warburton's Lemony Snicket will also return. Though no one else has been officially confirmed, it's a safe bet that Allison Williams -- who popped up in the Season 2 finale in a mysterious role -- will have a larger role in Season 3. The final season will be an adaptation of the last four books in Snicket's A Series of Unfortunate Events series: The Slippery Slope, The Grim Grotto, The Penultimate Peril, and The End. We don't know what, exactly, will be gleaned from each of those stories, but we can make some guesses based on where things left off in Season 2. That season ended with a literal blaze, as the Baudelaires were forced to set fire to the tent of fortune teller Madame Lulu (Sara Rue); a tent that contained information about V.F.D., a secret organization that holds the answers to much of the series' big questions. ("Madame Lulu" is actually an alias used by V.F.D. to gather intel; the operative's real name is Olivia Caliban.) With those answers turned to ash, and the siblings in the grasp of Count Olaf -- who drives off with them and the other members of the Carnivorous Carnival -- they're essentially starting from scratch. The arrival of Allison Williams' character teases another storyline, and ties in to the V.F.D. plot. She's seen briefly in the finale, arriving just in time to see the carnival in flames. Snicket's voiceover informs us that she's the previous Madame Lulu, and that she's "a woman I know very well." The character is seen driving the taxi of Jacques Snicket (Nathan Fillion) -- Lemony's brother, who was murdered by Olaf in "The Vile Village" -- and in possession of the sugar bowl, a mysterious and much-sought-after piece of porcelain with unknown contents. 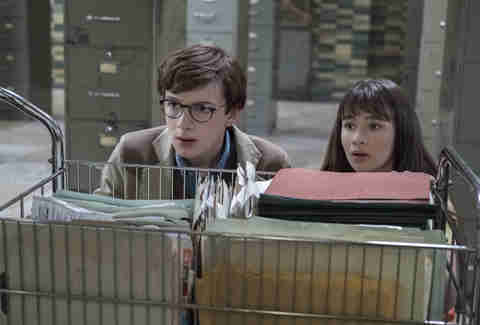 Though she isn't named in the episode, readers will recognize Williams' character: She's Kit Snicket, the third Snicket sibling, who plays a major role in the last few books of the series after crossing paths with the Baudelaires. In the books, Kit is pregnant, and also a former love interest of Count Olaf. It's hard to tell from her brief appearance in Season 2 if either of those plot points will carry over into the show, but we can expect at least some of the story to correlate. We can also expect much of Season 3 to deal directly with V.F.D. Short for "Volunteer Fire Department," members of V.F.D. are recruited at a young age, and their motives are mostly unknown, though they are said to "extinguish fires -- both literally and figuratively." As the Baudelaires discover, an event known as "the schism" happened within the V.F.D., which caused the society to splinter into two factions: the fire-fighting side (the good guys) and the fire-starting side (the bad guys). The Baudelaires, their parents, the Snickets, and the Quagmires are all firefighters, while Olaf, Esmé Squalor, and Carmelita Spats are all fire-starters. Those dueling sides make up much of the plot in the last four novels, so we can expect to see that battle play out in Season 3. The V.F.D. are also after the aforementioned sugar bowl, which holds an important secret, but really acts largely as a MacGuffin. In the books, the contents of the sugar bowl remain a mystery, though most fans suspect it holds something that would exonerate Lemony Snicket from the crimes he's on the run for, which were in truth committed by Olaf. Though the show will probably stick to the books and never give a definitive answer, it's possible Season 3 will sprinkle in a few more clues. Sonnenfeld seemed to hint at this in an interview with INSIDER, when he revealed that the script for the series finale, "The End," will "explain a lot of questions that I think even readers had." As for the Mortmain Mountains, they'll definitely make an appearance next season, as they're the main setting for The Slippery Slope. As fans of the series know, each book takes the Baudelaires to extravagant new settings. In addition to the mountains, we can expect to spend time with the orphans on a submarine, in a hotel, and on an island, which is where the final story takes place, and is a location that contains even more history about their parents. 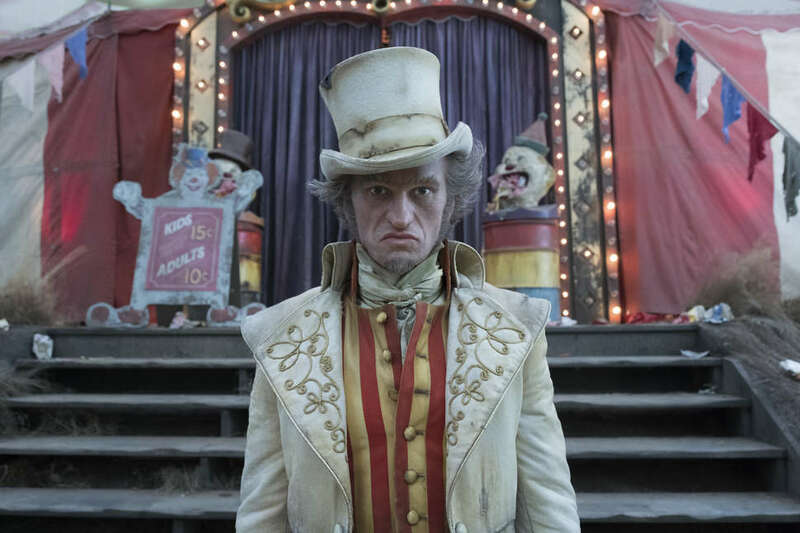 We'll find out how much of the books makes it to screen, and if any major changes were made, when A Series of Unfortunate Events returns to Netflix in 2019.